Congratulations on your brand new member of your family! Getting a pet is an exciting step in life, but does come with responsibilities. As a new pet owner, you may not know all that goes into caring for your new best friend. That is where the help of a veterinarian comes in. Beyond helping your pet when they’re sick, it’s their job to make sure that your furry friend is happy and healthy throughout their life. When you take your new pet to the vet for the first time, what should you expect and what questions should be asked? This blog will guide you through that first visit to your vet, that way you know what to expect and get the most out of it that you can. Any quality vet exam will begin with taking your pet’s temperature. If your furry friend is a dog or cat, the appropriate temperature varies between 101 and 102.5 degrees. This is just a bit higher than human body temperature. The most accurate temperature reading for a dog or cat is through their backside, so do not be shocked when your vet lifts up their tail. A temperature that is even a small bit elevated can be an indicator of some kind of a problem. Your pet’s skin and coat are excellent indicators of how your pet is doing health-wise. Trained veterinarians can look at a pet’s coat and be able to tell right away if something is wrong. Their coat should be shiny and thick, not brittle and coarse. In addition, their skin should be clean and not greasy or flaky. Most problems with the skin or coat are associated with a poor diet. If this is the case with your pet, you can expect your vet to ask you about your pet’s diet, and make recommendations to improve it. In the first exam, you should expect your vet to examine your pet’s ears and eyes. Often, deep in the ear canal is where infections begin. If they are detected early, they can be eliminated before they get to a painful and debilitating stage. In addition, your vet will show you how to properly clean your pet’s ears, and prescribe medication if your pet is showing the signs of infection. Your vet will examine your pet’s eyes for early cataract formation. They will look for haziness on the surface of the cornea and inflammation surrounding the eye structures. Any good veterinary exam includes listening to your pet’s heart and lungs. The first and best way to gather information about your furry friend’s heart is to listen to it. If they hear anything off, it’s a good idea to schedule a follow-up appointment to examine that further. If another appointment is necessary, it usually involves an EKG to assess the heart’s electrical activity and X-rays or an echocardiogram to look at your pet’s heart size and shape. Don’t be surprised or insulted if the vet stops listening to you for a moment to listen to your pet’s heart! Every physical exam should include a look into your pet’s mouth. That is, if they’ll allow it. Dental hygiene is one of the most overlooked aspects of pet healthcare, but one of the most necessary aspects. The mouth has the potential to harbor infected gums, loose teeth, objects between teeth, tumors, and other unwanted surprises. Your pet will generally show no signs of discomfort which is why it’s important to have their mouth checked by a professional. The abdomen can tell your vet a lot about your best friend’s health. For example, through a simple evaluation of your pet’s abdomen, your vet can discover that your pet only has one normal kidney, or has a tumor, has bladder stones, or is even pregnant! Last but not least, the paws and toenails are examined. Any long nails should be clipped shorter. If you have a dog or cat, your vet will look at the pads on the bottom of their paws. Pad injuries are rare, but quick to heal. What are your clinic’s capabilities? Not every vet clinic will be able to meet every need your pet has. It’s important as the pet owner to know what your vet clinic can do for your furry friend. Do they have an in-house lab? Do they offer X-rays? What surgeries can they do? Where can I find emergency care after hours, on weekends, or during holidays? Some veterinary clinics offer emergency care hours, and many do not. If your vet’s office does not, do they have any emergency clinics that they recommend? What parasites or pests are common in this area? The only way you can prevent parasites and pests is to know which ones are common where you live. Discuss with your vet what steps you can take to keep your pet healthy and pest-free. Does my pet need any vaccinations? If you ever expect to board your pet, take your dog to a dog park, or let your cat outside, mention it to your vet. That way they can recommend which ones are suited to you and your pet’s needs. 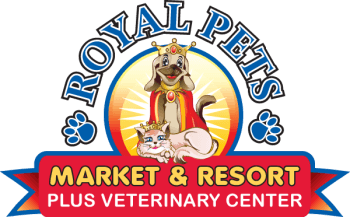 At Royal Pets Veterinary Center, we believe in prevention as the key to your pet’s best health. Our services cover all aspects of your pet’s health from dental cleanings to vaccines. Schedule your pet’s appointment today.